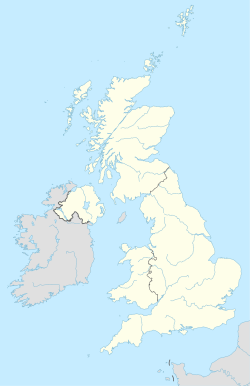 The BT postcode area, also known as the Belfast postcode area, covers all of Northern Ireland and was the last part of the United Kingdom to be coded, between 1970 and 1974. With a population of over 1.8 million people, BT is the second most populous UK postcode area, after the B postcode area (Birmingham, 1.9 million). Belfast had already been divided into numbered districts. Today, the Belfast post town covers postcode districts BT1 to BT17 and part of BT29. In common with all addresses in Northern Ireland, Belfast postcodes start with the letters BT, a mnemonic of the capital city's name. The commercial centre of the city is designated BT1 and the surrounding districts form a roughly sequential clockwise ring around the city. The postcode of the Royal Mail offices at Tomb Street in Belfast is BT1 1AA. BELFAST North Belfast: Shankill Road, Woodvale, Ballygomartin, Springmartin, Glencairn, Highfield. BELFAST West Belfast: Dunmurry, Hannahstown, Twinbrook, Poleglass, Lagmore. The only BELFAST addresses in BT29 are at Belfast International Airport. All other addresses in BT29 are under the post town CRUMLIN. The remainder of Northern Ireland is divided into 43 other post towns which are further divided into postcode districts BT18–BT49, BT51–BT57, BT58 (non-geographic postcode district reassigned from Belfast to Newtownabbey post town), BT60–BT71, BT74–BT82 and BT92–BT94. Certain addresses in BT29 located at Belfast International Airport (a total of 31 delivery points) are in the post town of BELFAST despite being geographically under the post town of CRUMLIN, which has the remaining 7,206 delivery points in that postcode area. BT postcode area map, showing postcode districts in red and post towns in grey text, with link to nearby PA postcode area. ^ "ONS Postcode Directory Version Notes" (ZIP). National Statistics Postcode Products. Office for National Statistics. February 2012. Table 2. Retrieved 21 April 2012. ^ "Non Geographic Codes" (PDF). Royal Mail Address Management Unit. July 2012. Archived from the original (PDF) on 16 September 2012. Retrieved 2 January 2013.